In 1958, a brand-new elementary school opened on Gulfstream Road, in the heart of a newly built subdivision named Woodview. Prior to development, Matthew Griffith and Charlie Grubbe ran large agricultural operations on the land. All new streets around the school were named after existing locations in the state of Florida, merely because the original builder liked Florida. The Grubbe farmhouse stood very close to where Franson Crescent and Azalea Court were built. On opening day at Gulfstream Public School, several hundred children had the distinction of being the first to walk through the doors of a brand new school. One lucky girl was grade five pupil, Jacquie Perrin. There weren’t any sidewalks leading into the school yet, just a single row of 2x6 wooden planks. The boards prevented the children from traipsing mud into the hallways. The Principal at the school was a strict disciplinarian named Mr. R.K. McKee. He ran the administration of the school with his student-friendly Vice Principal, Mr. D.C. Gray. Unaware to all attending the school that day, young Perrin was destined to become a Canadian beauty contest banner winner, a top-notch journalist and an established pilot. For her final year at Gulfstream in 1961, she was placed in Mr. Calvin Smallbridge’s class. Grade eight classes were taught by either Mr. Smallbridge or Mr. C.S. Cherny. The classroom had a peculiar door at one end of the room that connected to the main office. At times, yelps could be heard through the door from students receiving the strap from Mr. McKee. 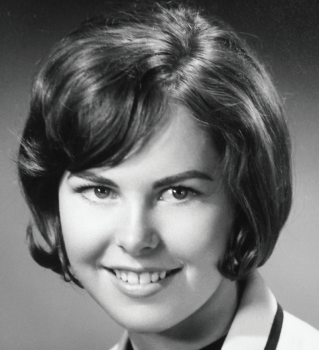 In 1962, the list of graduating students from Gulfstream included Laurence Hutchman, Leslie Kelly, Clayton Wright, Gloria Milani, Linda Cranston, Dave MacKay, Steve Fowler, Leslie McNab, Allan Farrington, Gwen Mitchell, Steve Upton, Dale Ritch, John Farley, Mark Thorpe, Allan Radecki, Ina Reinieks, Greg Montpool and top student Bill Falkner. 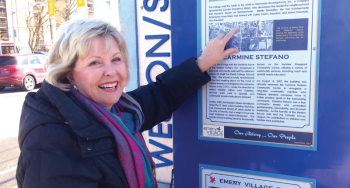 That fall, Perrin attended Emery Collegiate Institute on Weston Road and was a hit with fellow students. 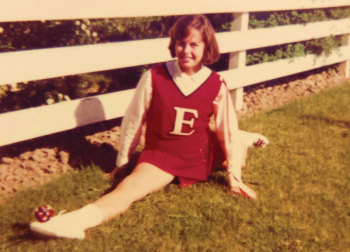 She became a cheerleader and took on acting roles in school musicals like, Who’s Afraid of General Wolfe. 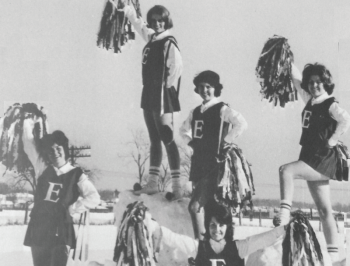 While staging a photograph for the school yearbook, Emery’s cheerleaders scaled the rear of the school. The girls climbed the ladder rungs on the chimney to pose for the picture. Head caretaker, Doug Kelman, caught the girls in the act, but he conveniently waited for the shot to be finished before embarking on his tirade. Perrin graduated in 1967 and was crowned Emery Prom Queen. After graduation, she went on her first solo trip to Expo ‘67 in Montréal. This advertisement would lead to the first of her eight consecutive beauty pageants. Later that year, she was crowned Miss Toronto Argonaut. She would face a unique challenge in her bid to become Miss Grey Cup - 1968 though. An unsuccessful coin toss between two of the judges settled a tie-breaker between Perrin and Miss Edmonton Eskimo. 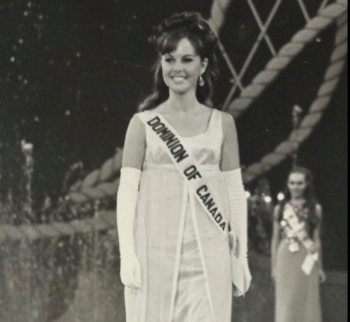 In the following year the Miss Dominion of Canada beauty contest was being scheduled and the holder of Miss Toronto had a conflict and was unable to compete. Perrin received a letter from the organizers that they were appointing Miss Toronto Argonaut to take her place. In 1969 Emery’s Jacquie Perrin would make her mark coast-to-coast. She would win the contest and become Miss Dominion of Canada. She would then travel and compete in Miss Universe and Miss World competitions. After graduating York University in 1973 with a degree in Geography, Perrin went to work in the broadcast industry. She moved to Toronto and worked at CFTO-TV before changing networks to the CBC. There, she had her own TV show called Market Place which became an award winning news program. In the mid 1990’s, she became fascinated with flying while covering the Canadian International Airshow and became a licensed pilot. Her accomplishments as a pilot are equally as impressive as her broadcasting record. She’s a proud member of the 99’s, an international organization of women pilots founded by Amelia Earhart. She has flown in F-18’s and F-16’s, piloted Cessna 172’s and has been an on-going member of the Brampton Flying Club since 1997. She remains active with the Air Cadets and the Canadian International Airshow. Jacquie Perrin endures as Emery’s original beauty queen, breakthrough flyer and talented on-air personality. She has displayed her charm to all across Canada and, above all, has shown that she is as comfortable at being in the air, as being on it.